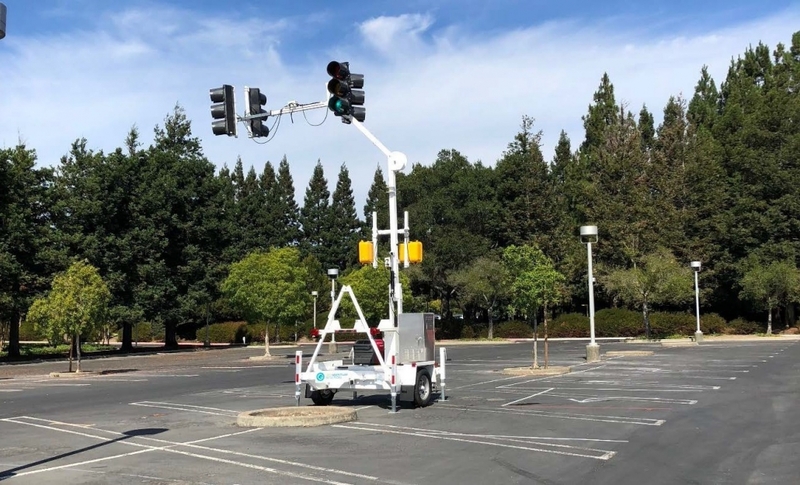 AMG staff are currently developing a Connected Autonomous Vehicle Traffic Signal Lab (CAV-Sig Lab), at GoMentum Station, that will be dedicated to research, training, and testing for traffic engineers in Contra Costa County, the Bay Area, and beyond. The state-of-the-art lab will include traffic signal cabinets, multiple ATC traffic signal controllers, video detection, Dedicated Short Range Communication (DSRC)/5G communication, and other traffic signal related equipment. The facility will be used by traffic engineers to test the connectivity and safe crossing of autonomous vehicles (AV) equipped with OBU (On-Board Unit) and traffic signal controllers equipped with DSRC/5G technology. This lab will enable full intersection signal control demonstrations and tests. The unique environment of the CAV-Sig Lab will expose traffic engineers and technicians to the complexities of signal deployment and prepare them for future CAV operations, including setup and maintenance of traffic signal controllers, conflict monitors, load switches, detection and DSRC/5G based communication systems on traffic signal cabinets. The lab will provide the opportunity for hands-on experience working with futuristic traffic signals and associated technologies, testing various CAV and DSRC functional services, including collision avoidance, ATSPM, Emergency Vehicle Preemption, Vulnerable User Services, V2V, V2I, V2P, and V2C communications. Additionally, the lab will be poised to educate and train signal technicians and traffic engineers in both the public and private sectors.